Dr. Aparna Chandrasekaran is a board certified physician who specializes in internal medicine and chronic disease management. 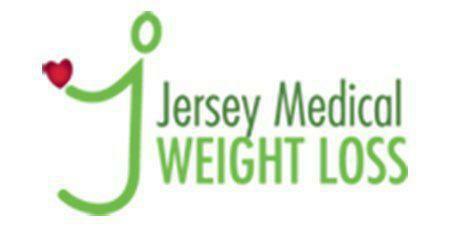 She and the staff at Jersey Medical Weight Loss offer their patients nutritional counseling and disease management plans that are customized to their unique, physical needs. Dr. Chandrasekaran encourages New Jersey residents throughout the Somerset and surrounding areas to make an appointment with the facility to find out how they can regain their health and begin to manage their chronic illnesses. The term is used to identify health conditions that are considered to be long-term in nature. In order for a condition to be considered chronic, it must be present in some form for at least six consecutive months. In most cases, chronic diseases are progressive: once they’ve been diagnosed, they continue worsening as time passes. Chronic disease management is used to slow down the progression of the disease, as well as to control its symptoms. Because the root of the problem is incurable, Dr. Chandrasekaran strives to effectively manage the condition's symptoms so the patient can live as normal a life as possible. Can proper chronic disease management prevent a health condition from worsening? In many cases, chronic diseases are progressive and worsen over time. With chronic disease management, however, Dr. Chandrasekaran can provide substantial relief for the symptoms and actually slow down the progression of the disease. If the disease is caught early enough, there are treatment plans that may even halt the disease's progression for a short period. Although it’s not a cure, it does relieve the symptoms and allows the person to live a more active lifestyle for many years to come. What are the most common forms of chronic health conditions? Tobacco and alcohol use, accompanied by prolonged periods of constant stress, can also cause the body to function inefficiently. That opens the door for chronic health conditions to begin wreaking havoc on the patient’s body. Even if the patient changes their habits and begins to take care of themselves, much of the damage is already done. Fortunately, Dr. Chandrasekaran can use chronic disease management to help the patient regain their health. Please contact the office for additional information on accepted insurances. No HMO plans accepted.